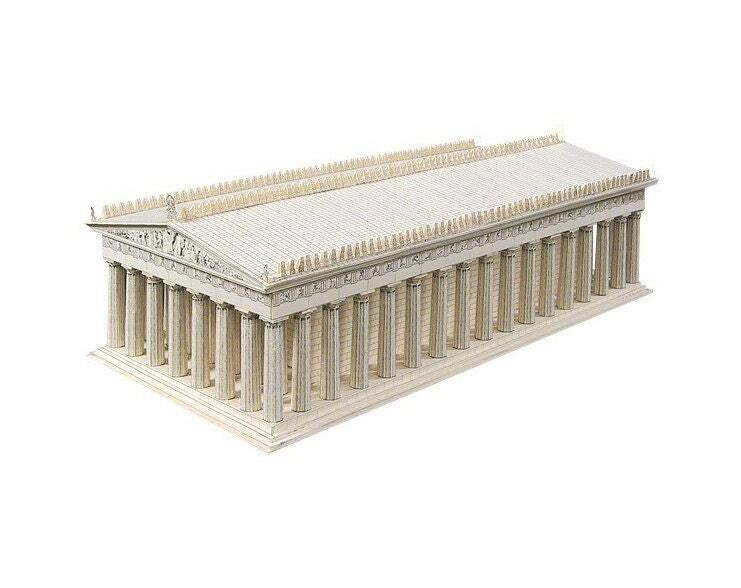 The Parthenon (431-404 B.C.) is a Doric temple in Acropolis, Athens, Greece, dedicated to the virginal Athena and a brilliant landmark of the whole Greek culture. 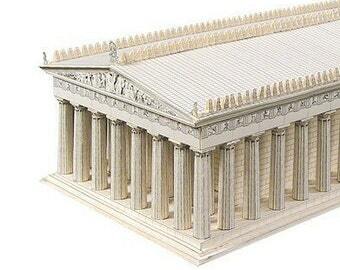 You can build a detailed model in 1/250 scale which also replicates the inner structure of the temple. Great for a school project, history and architecture studies or a collection of miniatures. We encourage to allow enough time to work on this model. Browse our shop to find more ideas for architecture inspired paper craft kits, school supplies, homeschool projects.